Syngenta GMO Corn Seed Lawsuits Allege That U.S. Farmers Have Lost At Least $1 Billion Due to Syngenta’s Attempts to Commercialize a GMO Corn Seed Variety Not Approved for Sale in China. More than 50 Syngenta GMO corn seed lawsuits are now pending in U.S. courts, all of which claim the agricultural giant’s attempts to commercialize a genetically modified (GMO) corn seed product has cost U.S. farmers more than $1 billion. According to a report from the Associated Press, U.S. farmers and agribusinesses began filing Syngenta lawsuits after China started rejecting corn shipments tainted with Agrisure Viptera, a GMO corn seed that has not been approved for sale in that country. The firm is currently speaking with farmers across the country and continues to offer free legal evaluations to farmers, commercial corn growers, harvesters and sellers who believe they were financially harmed due to Syngenta’s actions. To speak with one of Wright & Schulte's experienced litigation attorneys call 1-800-399-0795 or visit http://www.yourlegalhelp.com for more information. Agrisure Viptera was genetically modified to contain a protein that makes it resistant to earworms, cutworms, and other corn eating bugs. According to the Associated Press, the seed was approved in the U.S. in 2010, and Syngenta began selling it to farmers in 2011. However, China does not allow the sale of GMO crops it hasn’t tested. Syngenta GMO corn seed lawsuits point out that most biotech firms hold off on commercializing a new product until major trade partners, like China, have granted their approval. 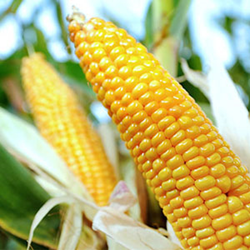 China first discovered traces of Agrisure Viptera in U.S. corn shipments in November 2013, and began rejecting shipments in February 2014. As of October, more than 130 million bushels of U.S. corn have been turned away by Chinese regulators, the Associated Press said. Syngenta lawsuits claim that U.S. corn exports are down 85% since last year. Farmers and businesses that were allegedly damaged due to Syngenta’s practices in regards to Agrisure Viptera may be entitled to pursue claims of their own. Wright & Schulte LLC is offering free legal consultations to any commercial corn grower, harvester or seller who incurred significant financial losses due to China’s rejection of U.S. corn shipments. For more information on filing a Syngenta GMO corn seed lawsuit, or to arrange for a free legal review, please visit yourlegalhelp.com. Wright & Schulte LLC, an experienced personal injury firm, is dedicated to the belief that America’s legal system should work for the people. Every day, the attorneys of Wright & Schulte LLC stand up for the rights of people who have been injured or wronged and fight tirelessly to ensure that even the world’s most powerful corporations take responsibility for their actions. If you’re looking for a law firm that will guarantee the aggressive and personal representation you deserve, please do not hesitate to contact Wright & Schulte LLC today. Free Syngenta GMO corn seed lawsuit case evaluations are available through yourlegalhelp.com or by calling 1-800-399-0795.